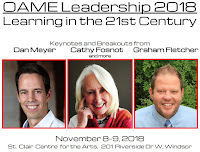 I was fortunate enough to help organize this year's OAME Leadership conference in locally here in Windsor. 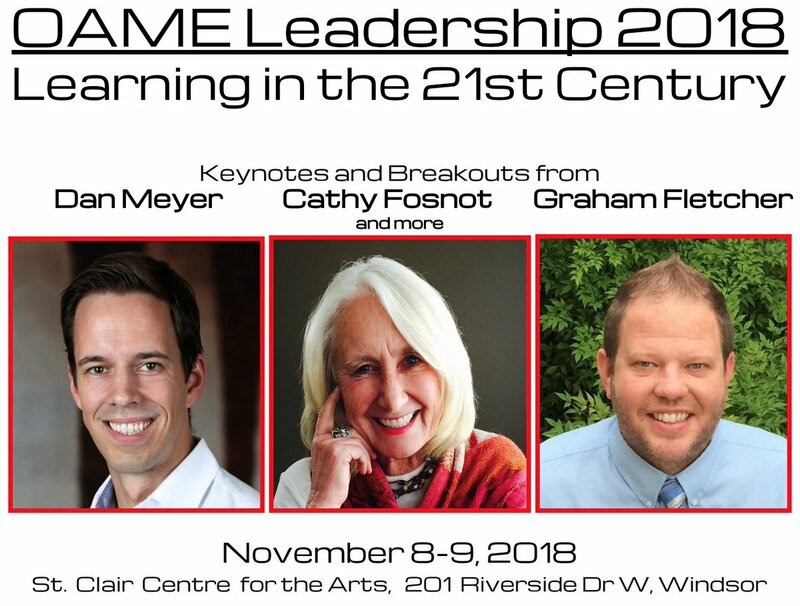 We had three keynotes (@ddmeyer, @ctfosnot, @gfletchy) and a bunch of breakout sessions over a day and a half. If you are interested here is the website (which will eventually have links from many of presentations). The theme was Learning in the 21st Century and we had different perspectives on how that can be done for teachers and students. Here is the feed from the hashtag #OAMELead. There were so many quotable lines (even one by me) that I tried to compile some of them below. Thanks to all those who filled the "back channel" (just a few from @ddmeyer, @markchubb3, @hkodai, @mrbinfeild). I brought a pile of games to the OAME Leadership conference to play in the evening and other people started to bring up other puzzles. I have to check these and you should too. There is definitely a math question in here. What question will you ask? Some sketchnotes from @RiversoMaria on the OAME Leadership Keynotes and a couple of the breakouts.